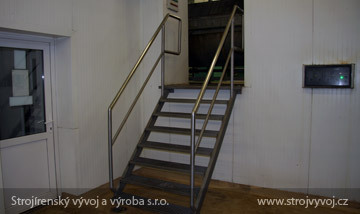 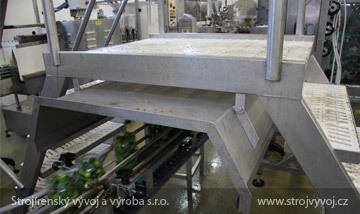 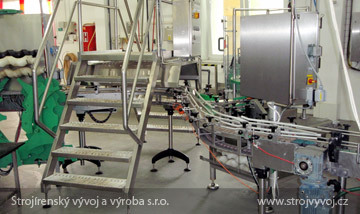 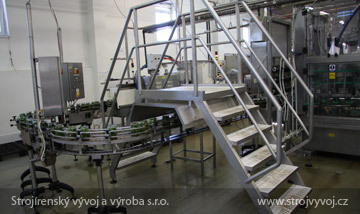 Stainless steel stairs for establishment﻿﻿ - Strojírenský vývoj a výroba s.r.o. 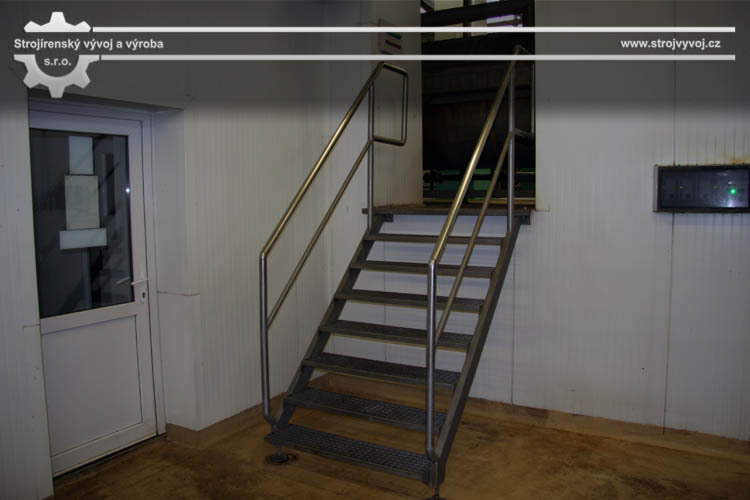 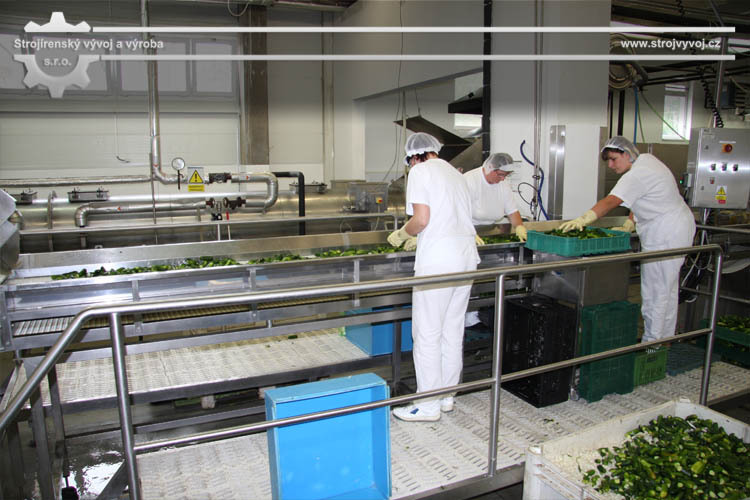 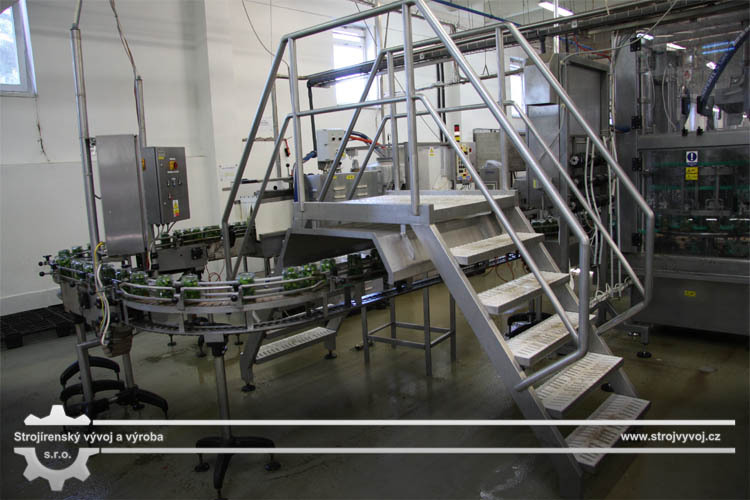 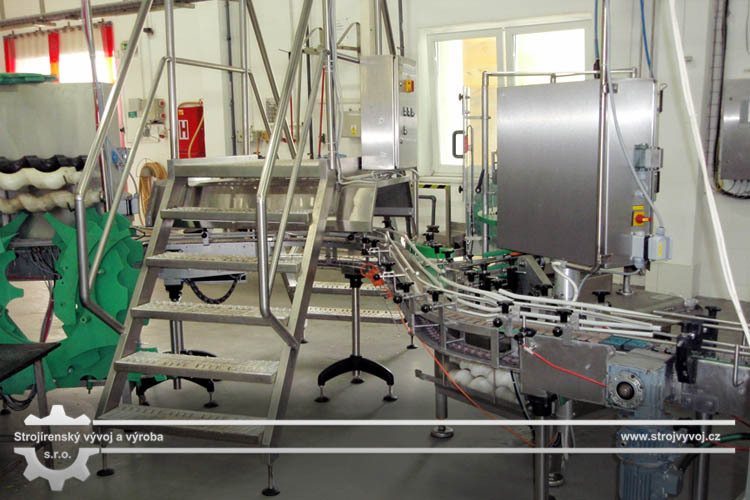 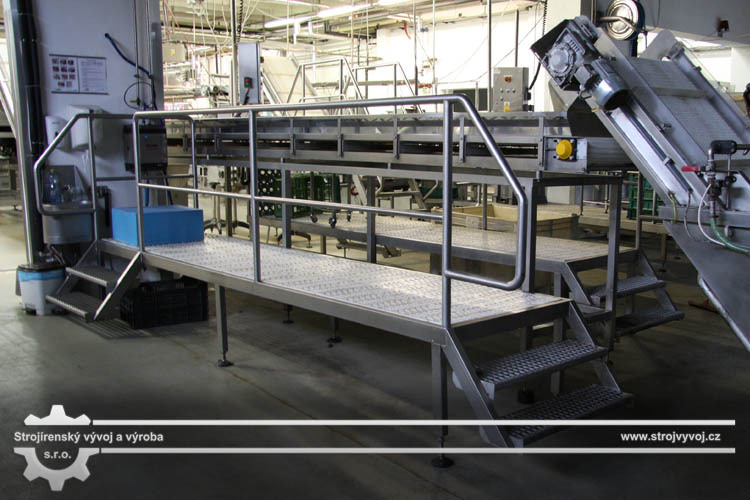 We offer stairs for factory buildings and establishments, ideal for walkways around lines. 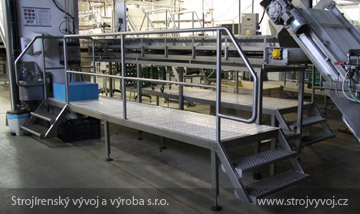 The steps are made from floor or plastic frames. 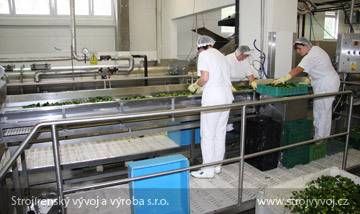 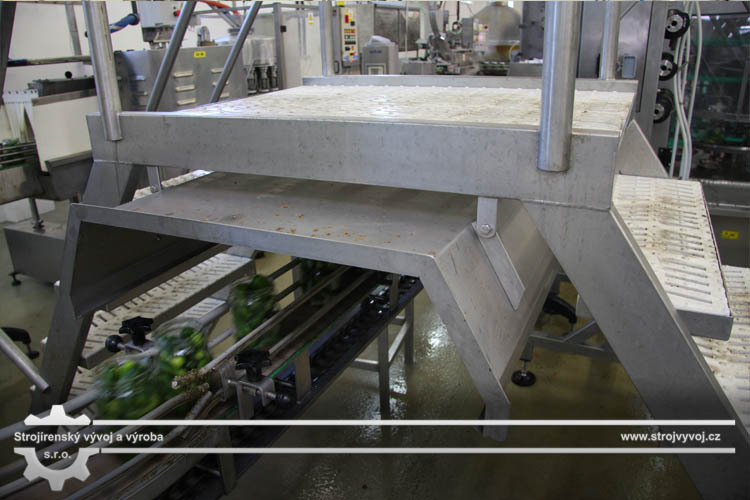 There is a cover sheet under the upper platform to protect the production space from contamination.